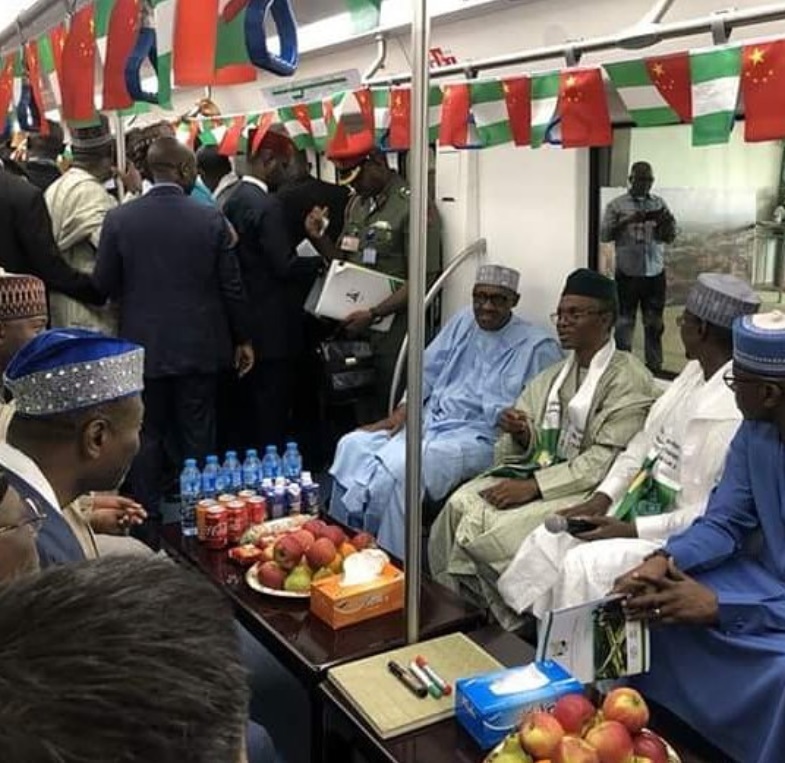 ABUJA- Nigeria has formally commissioned the China-assisted Abuja light rail transportation system, the first of its kind in West Africa. 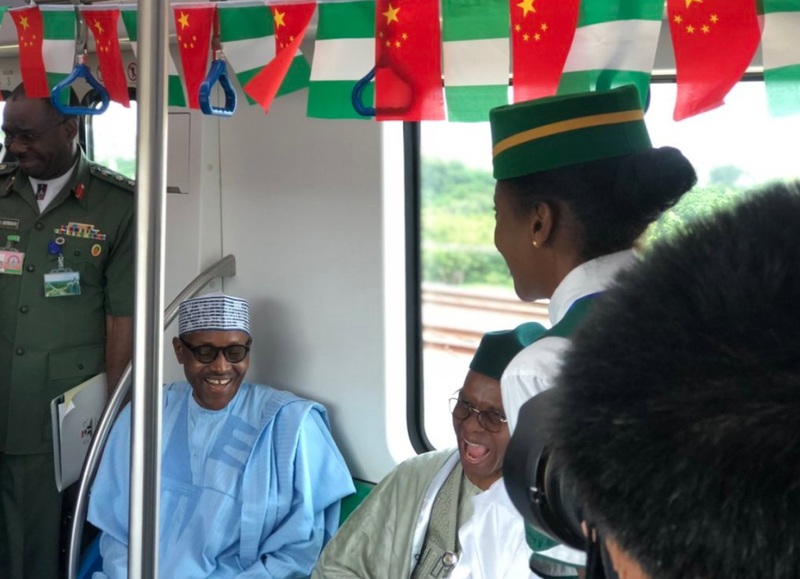 Nigerian president Muhammadu Buhari declared the full operation of the capital city’s light rail system, handled by China Civil Engineering Construction Corporation (CCECC) and partly funded by the Export-Import Bank of China. 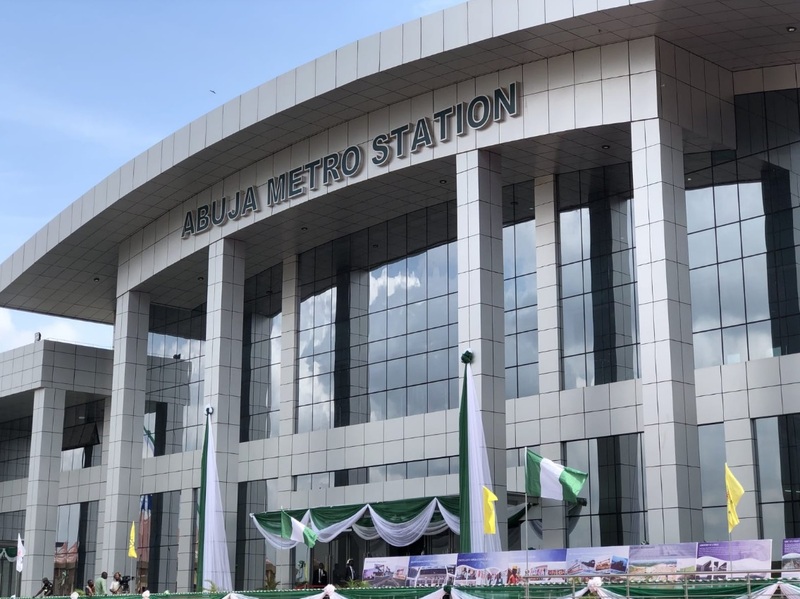 President Buhari, while delivering a keynote address at the light rail’s commissioning ceremony, hailed the project as a significant milestone in the history of Nigeria. 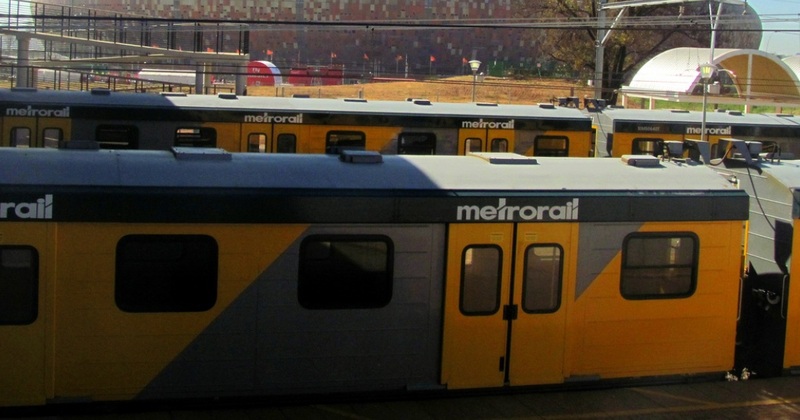 Local passengers will enjoy a free ride on the train for one month. 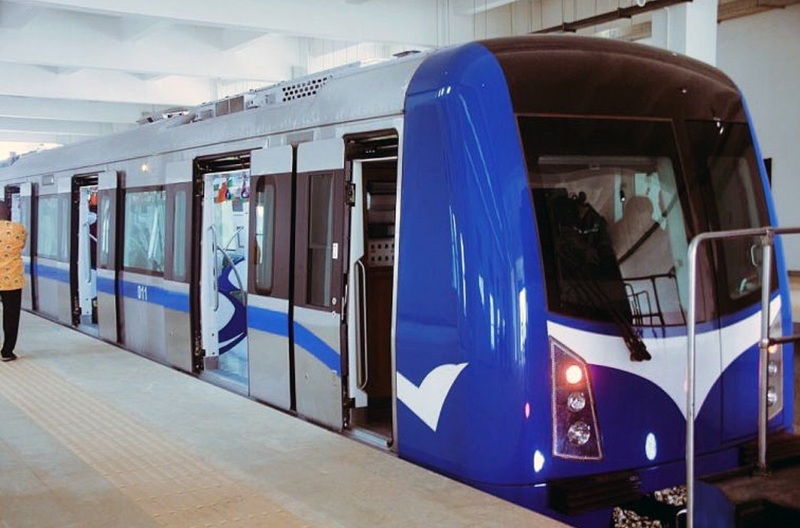 The 3 available coaches can convey more than 300 passengers on a trip, while at least 1,000 people are expected to daily ride on the train. 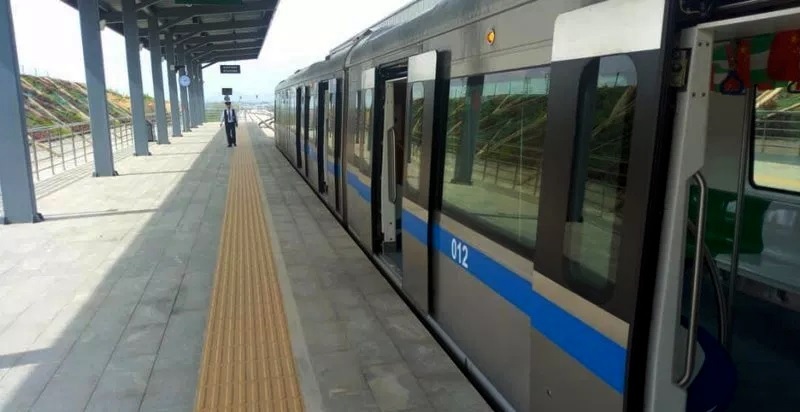 For now, only 3 sets of standard coaches have been provided to cover skeletal services as the main set of the rolling stock is being awaited to make operations cover more passengers. 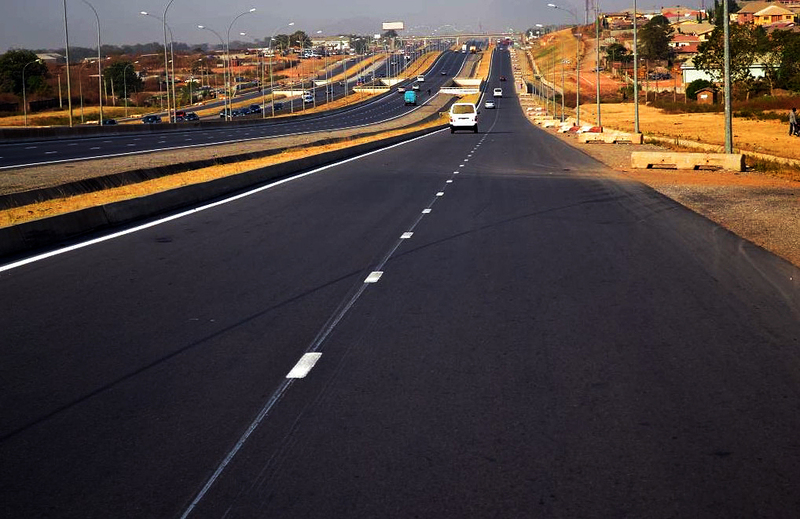 The first phase features 28.1 miles (45.25km) of railway tracks on two lines. 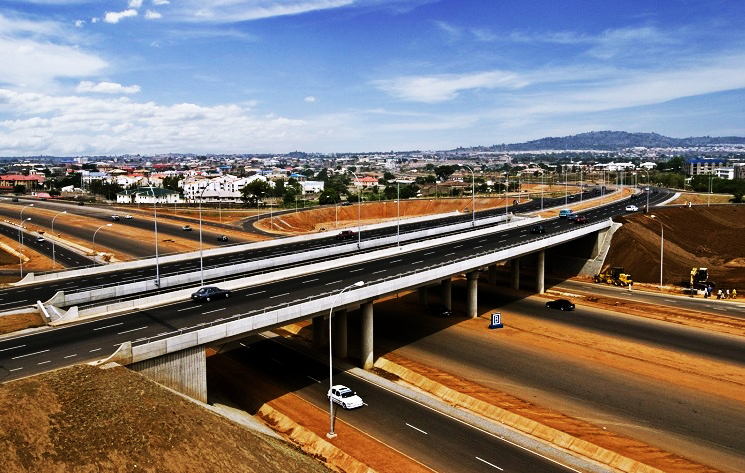 The line comprises 12 stations, 21 operational offices, 13 bridges, 50 culverts, as well as nine pedestrian overpasses. 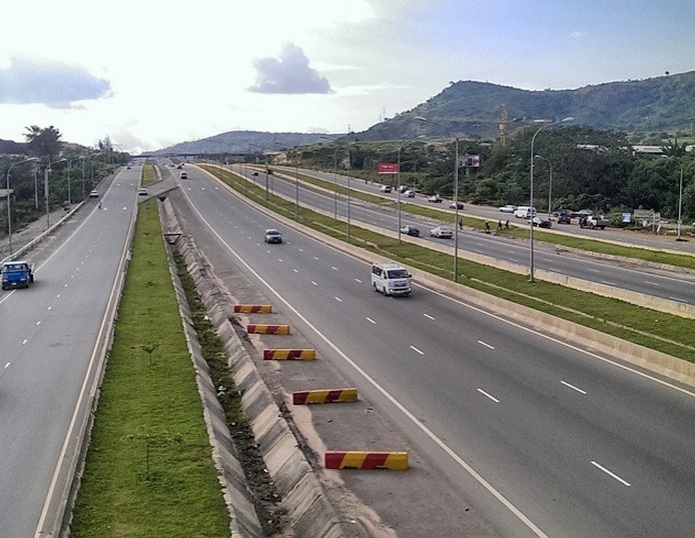 The newly completed Lot A1 and Lot 3 of the light rail are part of the Abuja rail mass transit project. 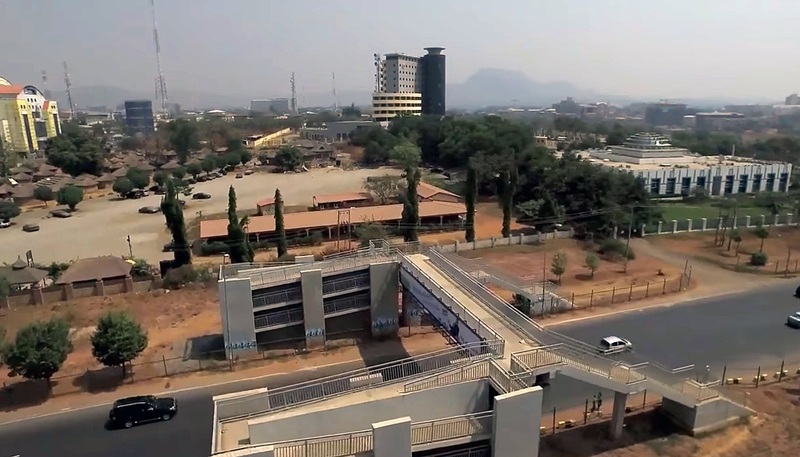 The light rail was designed to have an interface with the national passenger railroad lines at 2 points, where there would be interchanges to join the rail line linking the northern part of Nigeria. 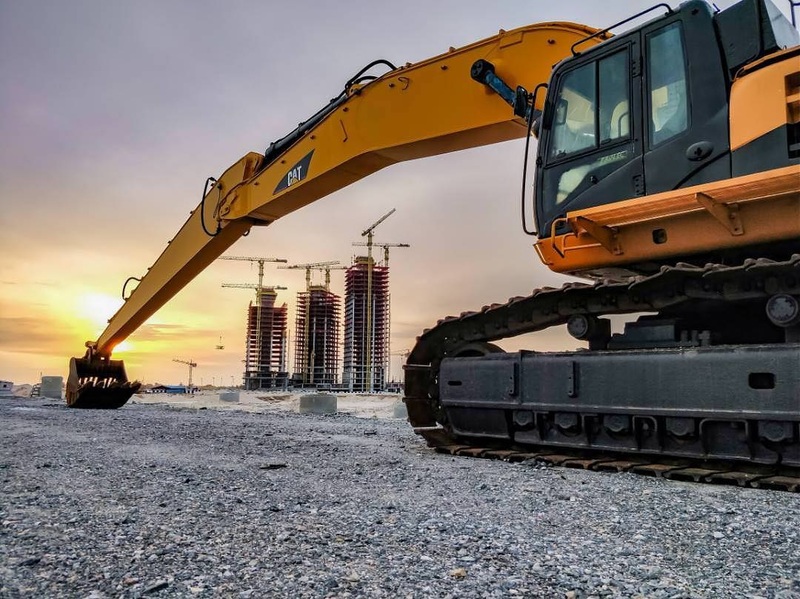 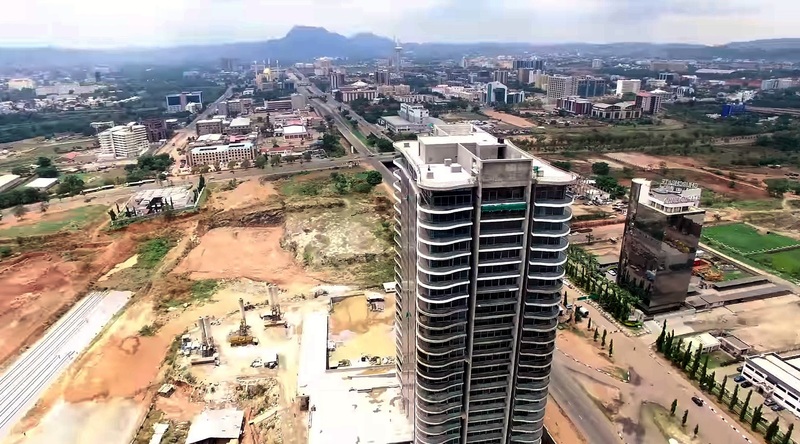 The construction of the light rail and its use is expected to open up new towns and boost economic activities along the corridor of Gwagwa, Kalgoni, DeiDei, Kubwa, Kokoaba, Dasonga, Asa, among 12 satellite suburban towns around the Nigerian capital city. 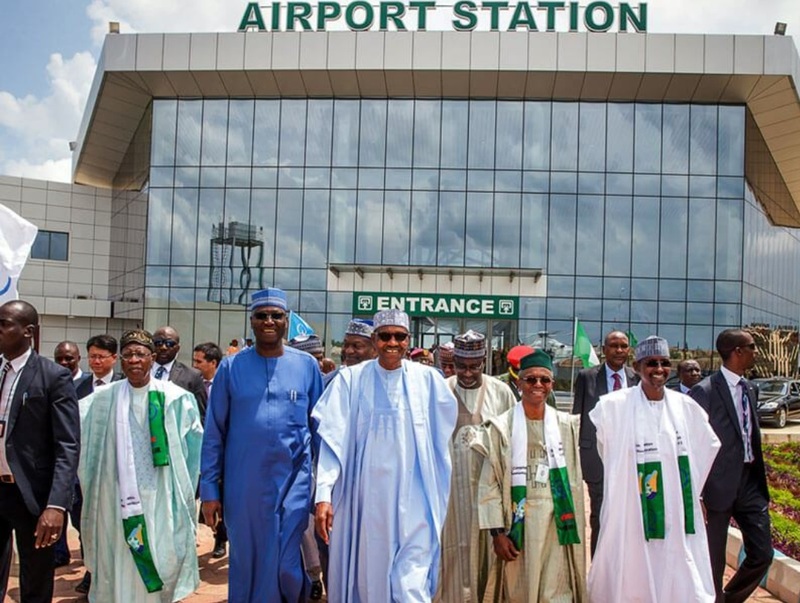 Nigerian president Muhammadu Buhari take a ride on the new light rail in Abuja. 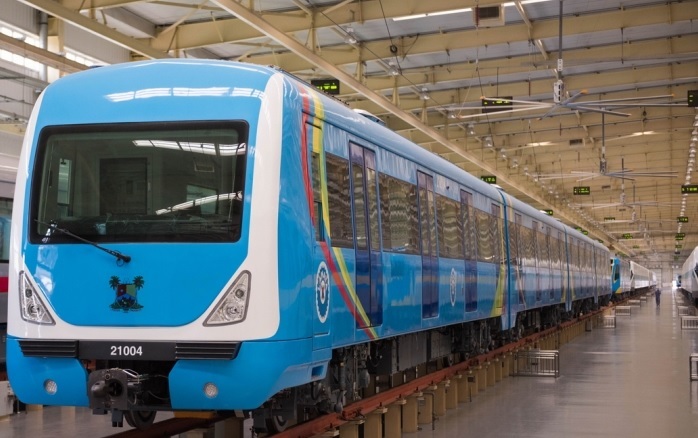 Alstom has signed an agreement with the Nigerian government department that controls transport in the country’s largest city, the Lagos Metropolitan Area Transport Authority (LAMATA), to install and maintain two crucial aspects of the yet-to-be-completed Blue Line metro. 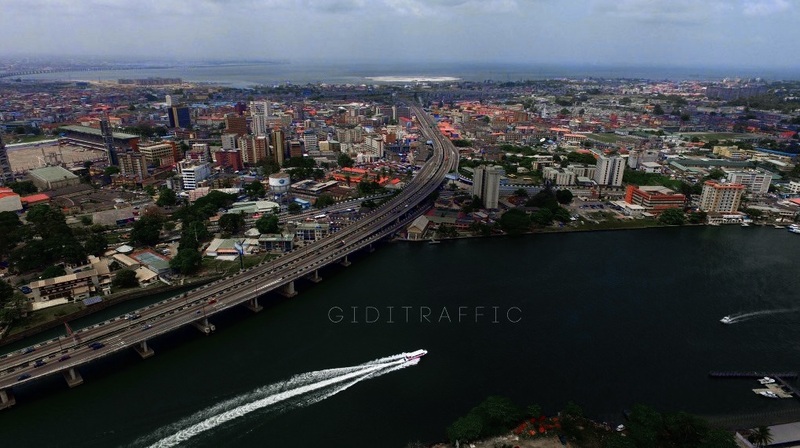 Lagos has a population of 22 million and suffers from severe road traffic congestion. 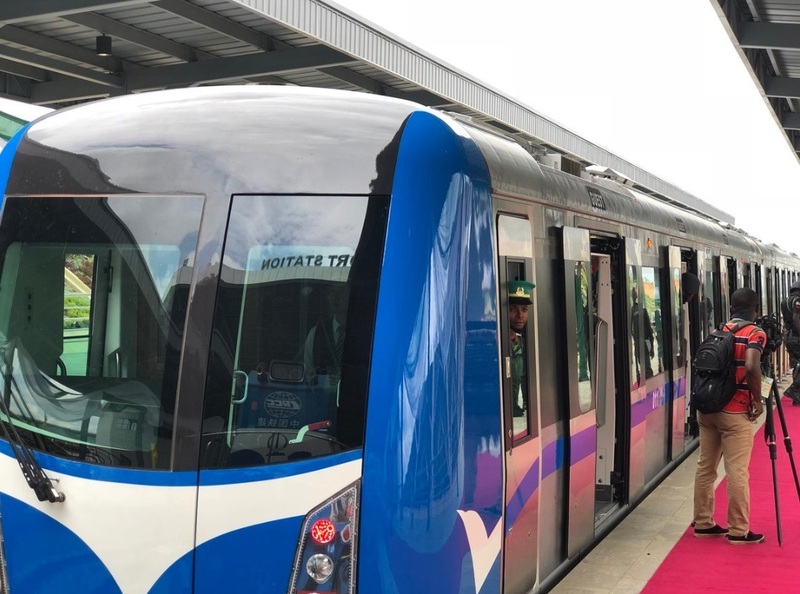 CRRC’s Dalian Locomotive and Rolling Stock subsidiary has already built a fleet of 15 trains for phase one. 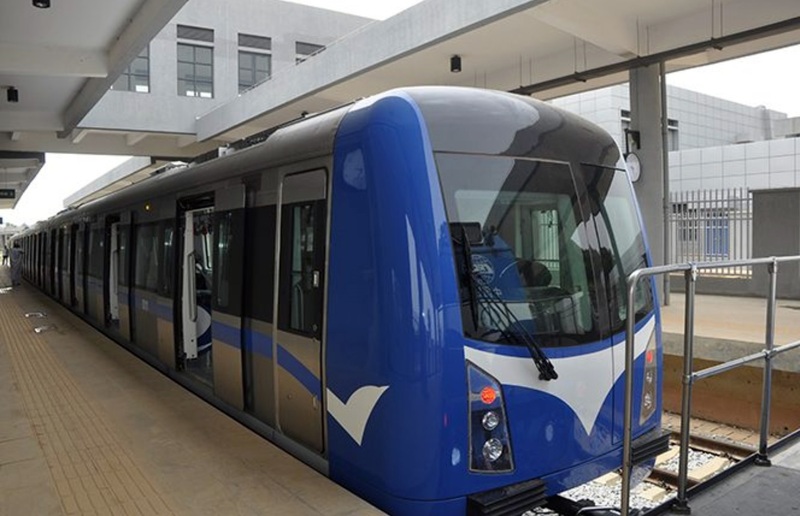 The Chinese trains were completed in 2016 as it was expected that the first phase would open in December 2016. 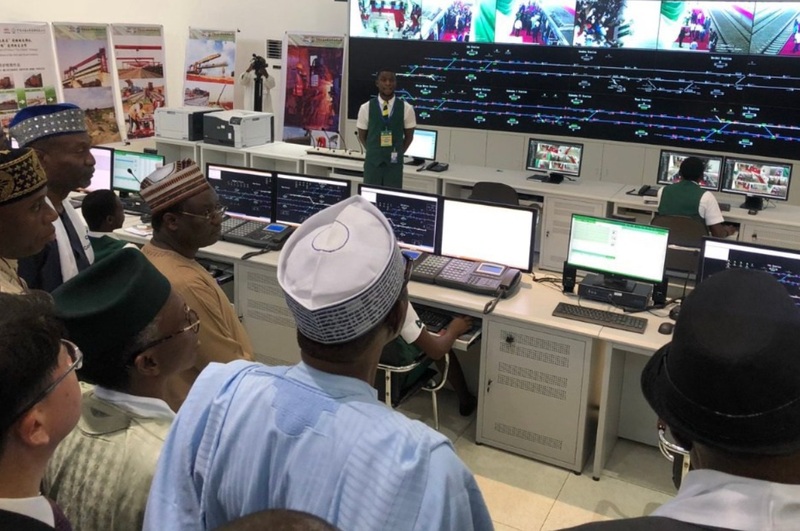 Under the deal, signed at the France-Nigeria Business Forum attended by President of the French Republic, Emmanuel Macron, Alstom will handle Phase 1 and 2 of the project: electrification of sections of the line and the installation of communication-based train control (CBTC) signalling, carried out in conjunction with the Lagos State Government. 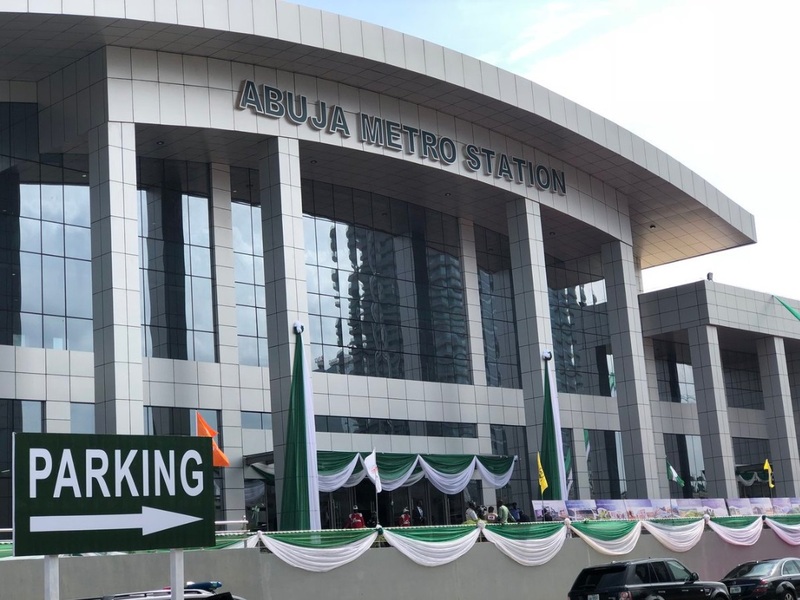 Also included in Phase 2 will be the passenger information services that will keep customers informed, along with the ticketing systems located in the stations. 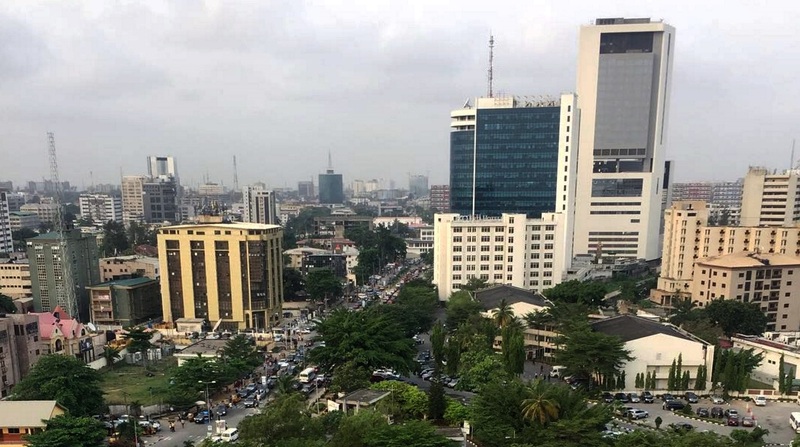 According to press reports in Nigeria, the French government will invest around £175 million in Lagos’ public transport system. 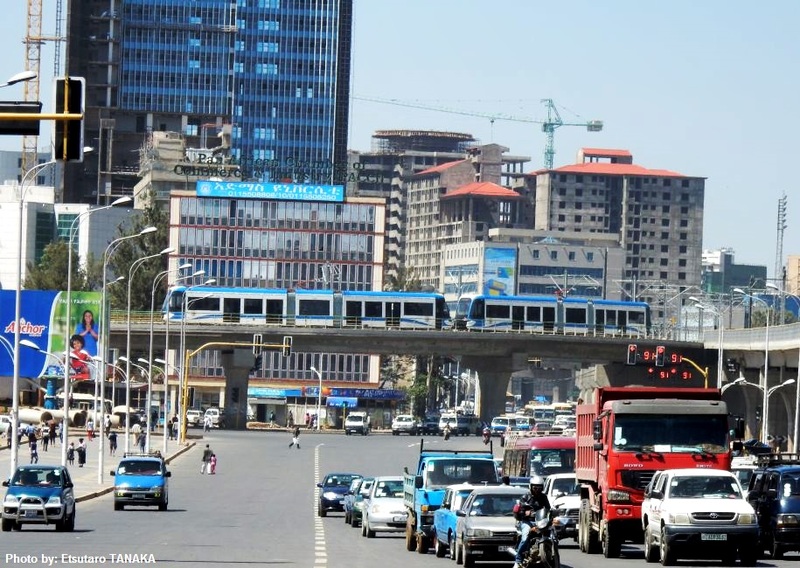 When complete, the Blue Line will comprise a 17-mile (27 kilometre) line with 13 stations. 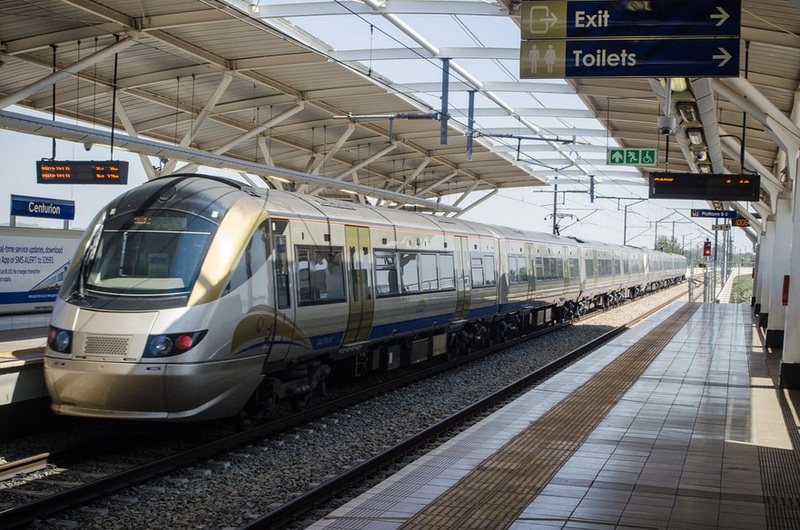 However, Alstom’s Phase 1 and 2 involvement will cover eight miles and five stations. 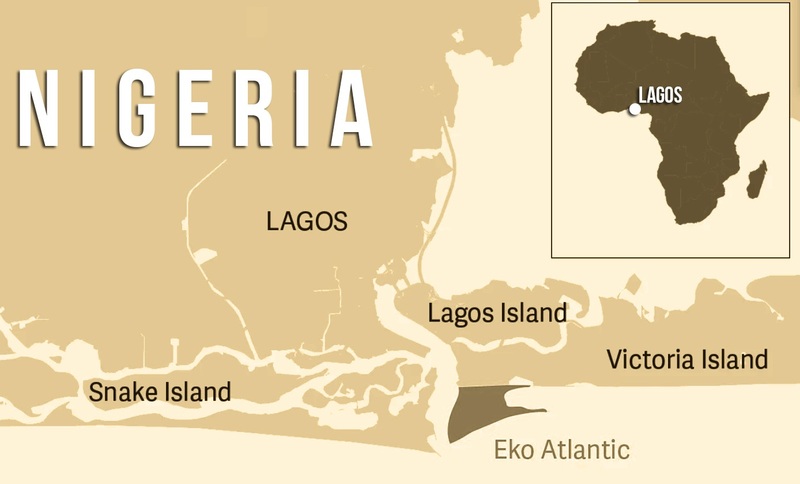 Initially Lagos’ line will carry 400,000 passengers a day, rising to around 700,000 when it is fully complete. 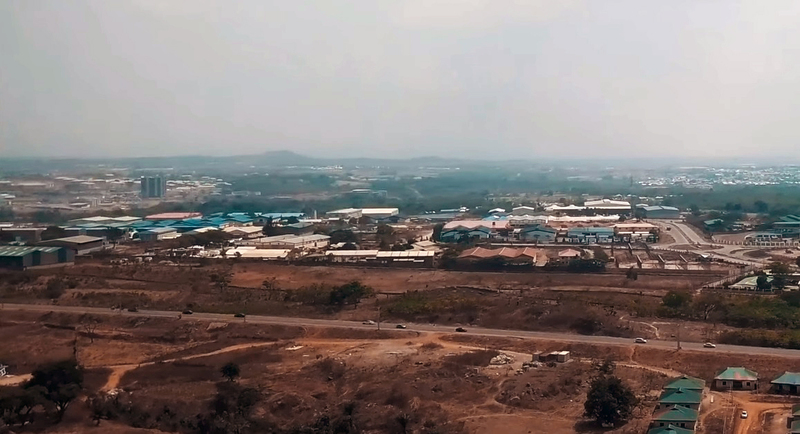 Lagos has a population of around 22 million and has chronic problems with congestion, something the Blue Line metro project will address. 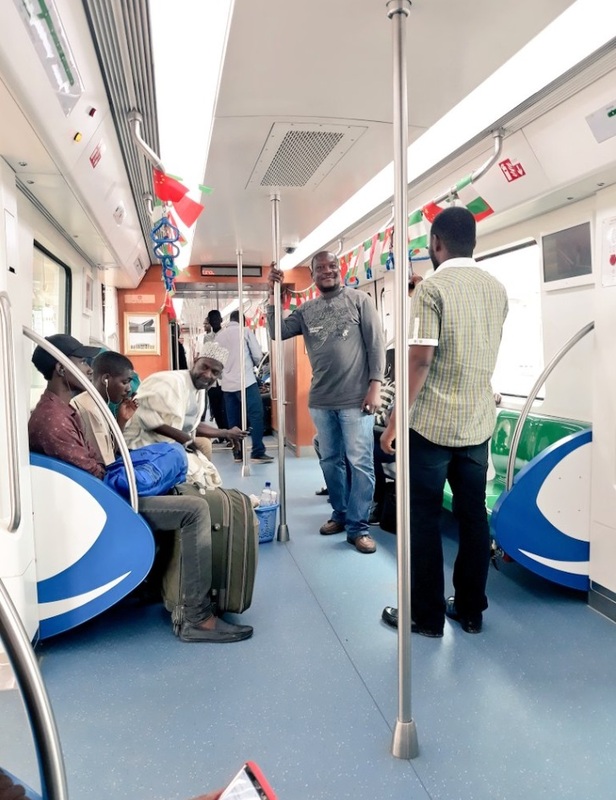 Alstom said that its involvement in the transport network – the company’s first involvement in Nigeria – would be an important milestone for the city and “contribute to positioning the city among the showcases of sustainable mobility in Africa”. 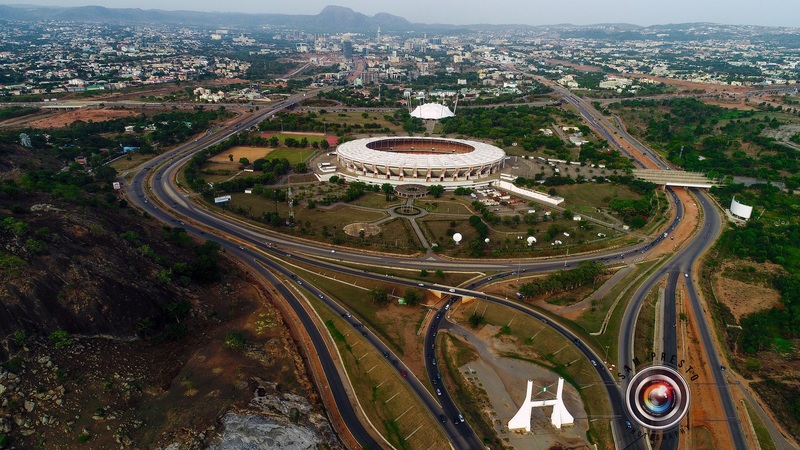 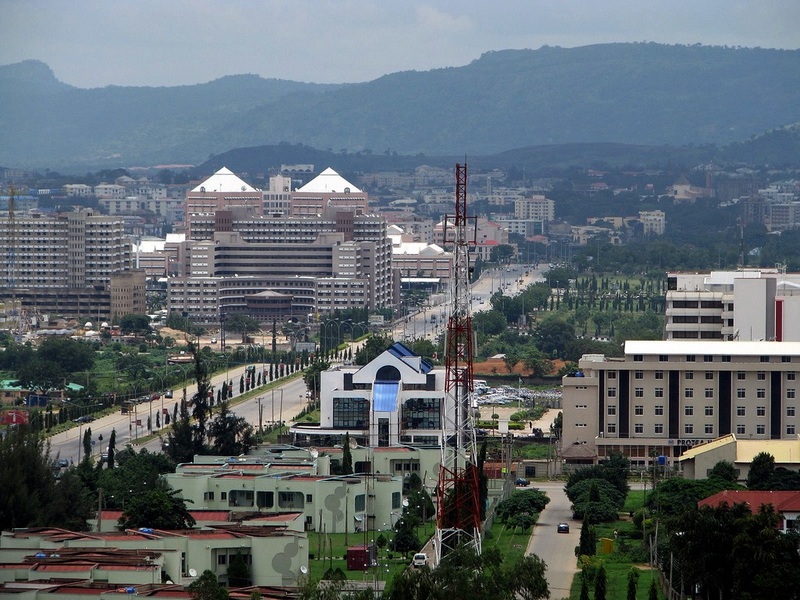 The city of Abuja is located in the Federal Capital Territory and was created in 1976, from parts of the states of Nasarawa, Niger and Kogi. 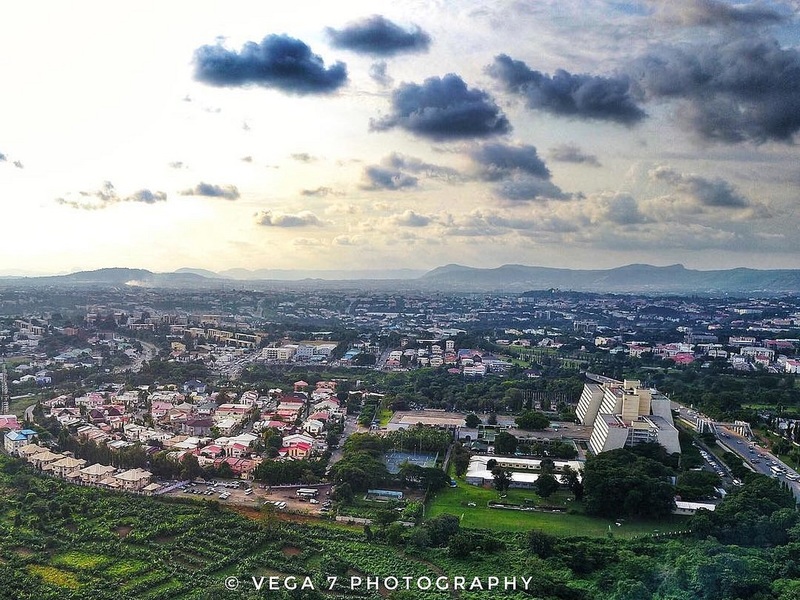 During the 1980s the new capital city (designed by the Department of Architecture of Ahmadu Bello University in Zaria) was built and developed on the grass-covered Chukuku Hills. 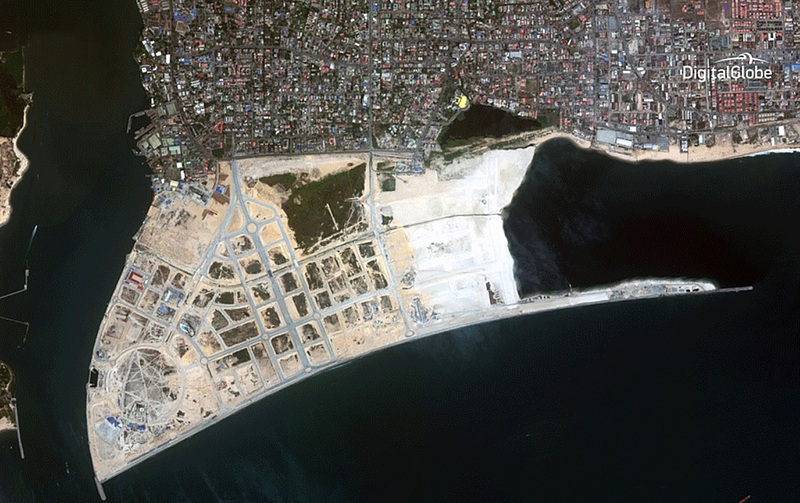 The site for the new city was chosen for Nigeria’s new capital because of its central location. 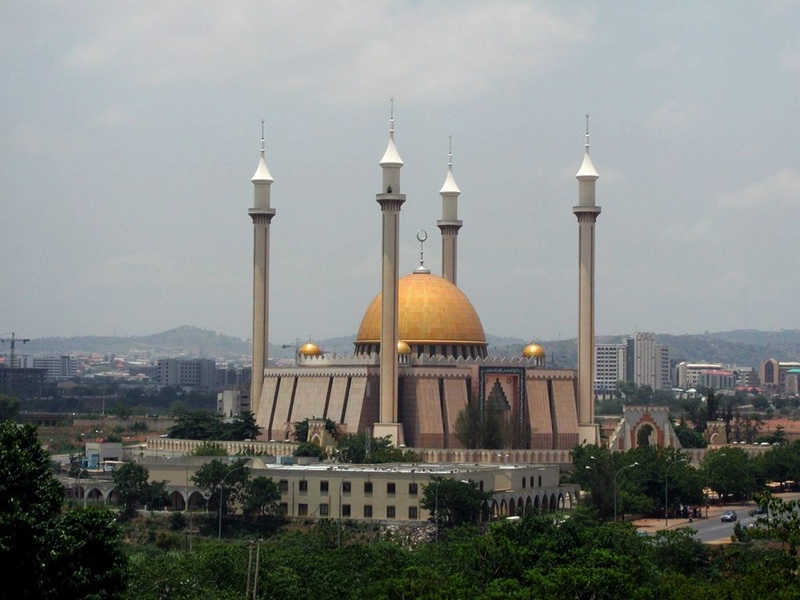 Abuja has a population over over 2.4 million. 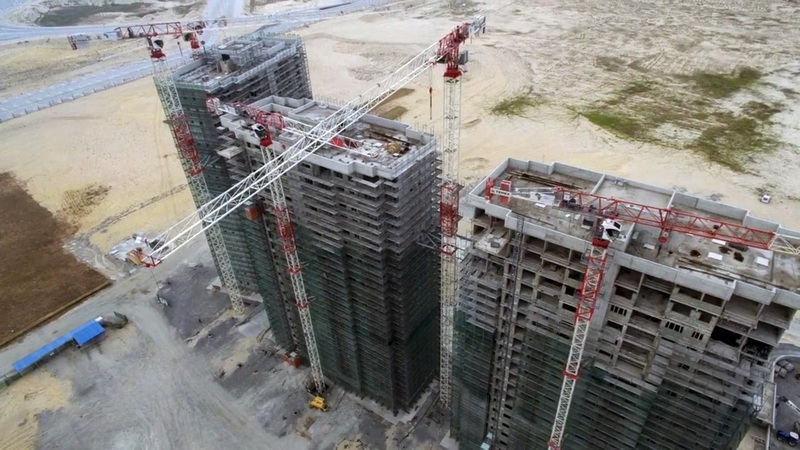 Eko Atlantic is a marvel of modern engineering and technology, and a testament to the rise of Nigeria on the world stage. 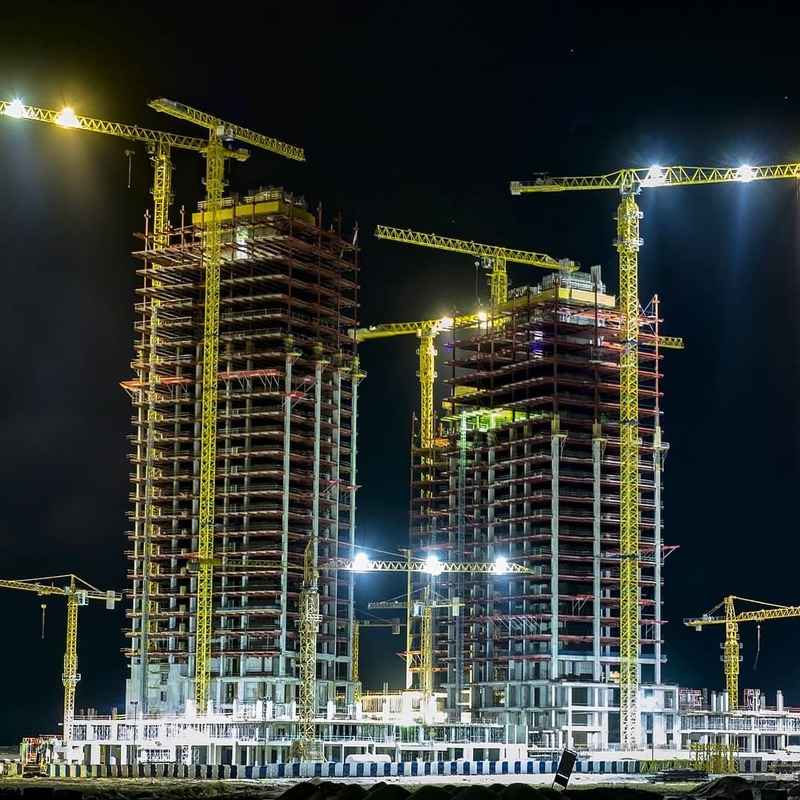 Eko Atlantic is an entire new coastal city district being built on Victoria Island adjacent to the mega city of Lagos, Nigeria. 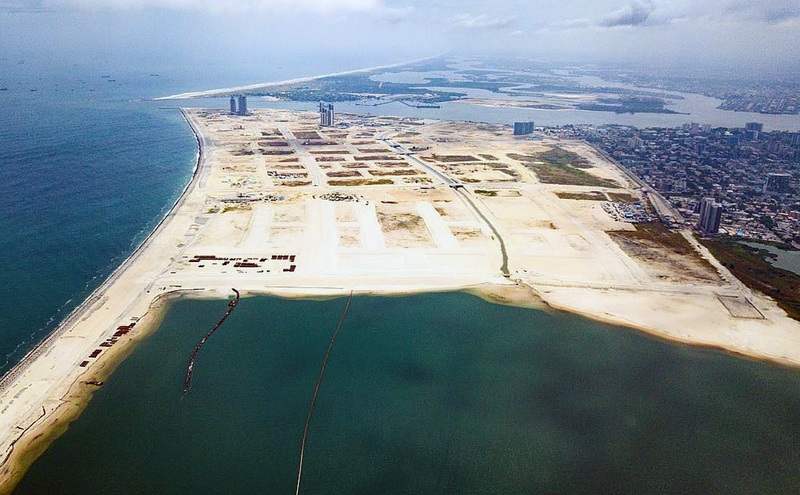 Standing on 10 million square metres of land reclaimed from the Atlantic Ocean and protected by an 8.5 kilometre long sea wall, Eko Atlantic will be the size of Manhattan’s skyscraper district. 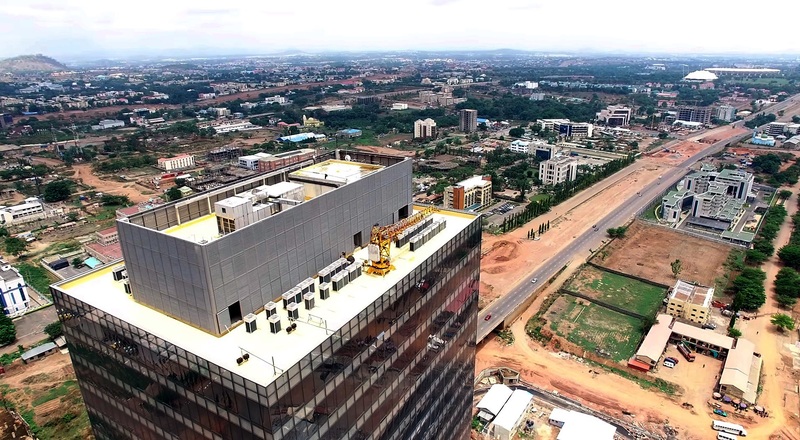 Self-sufficient and sustainable, it includes state-of-the-art urban design, its own power generation, clean water, advanced telecommunications, spacious roads, and tree-lined streets. 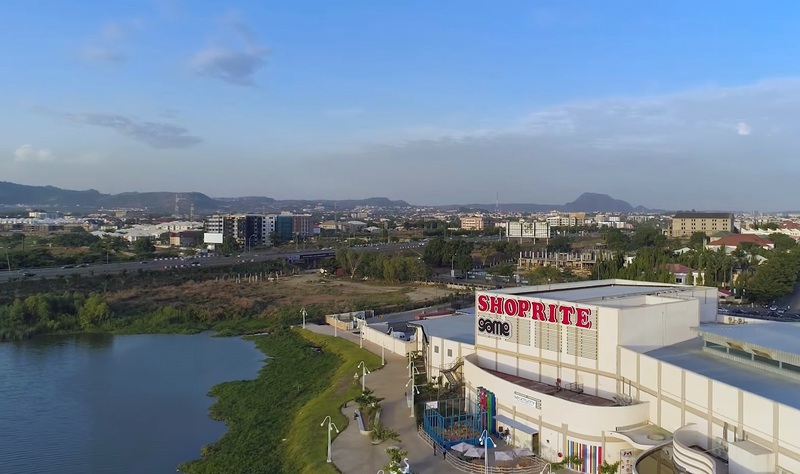 It is being called by some, the Dubai of West Africa. 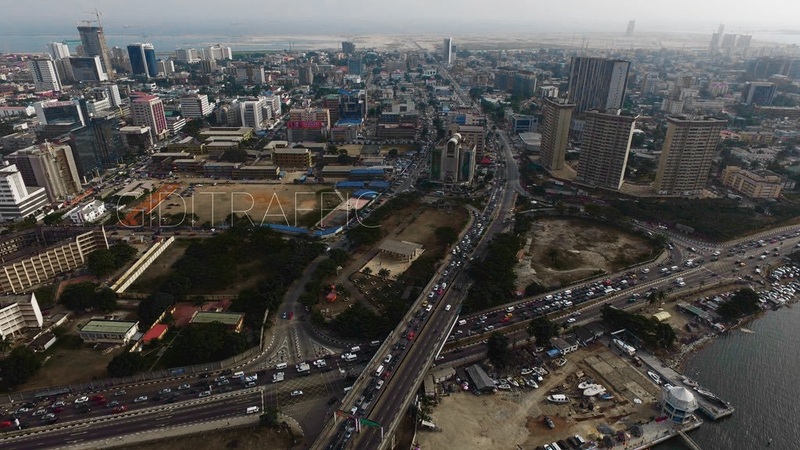 This district’s main feature is the Eko Boulevard: 2 km long and 60 m wide. 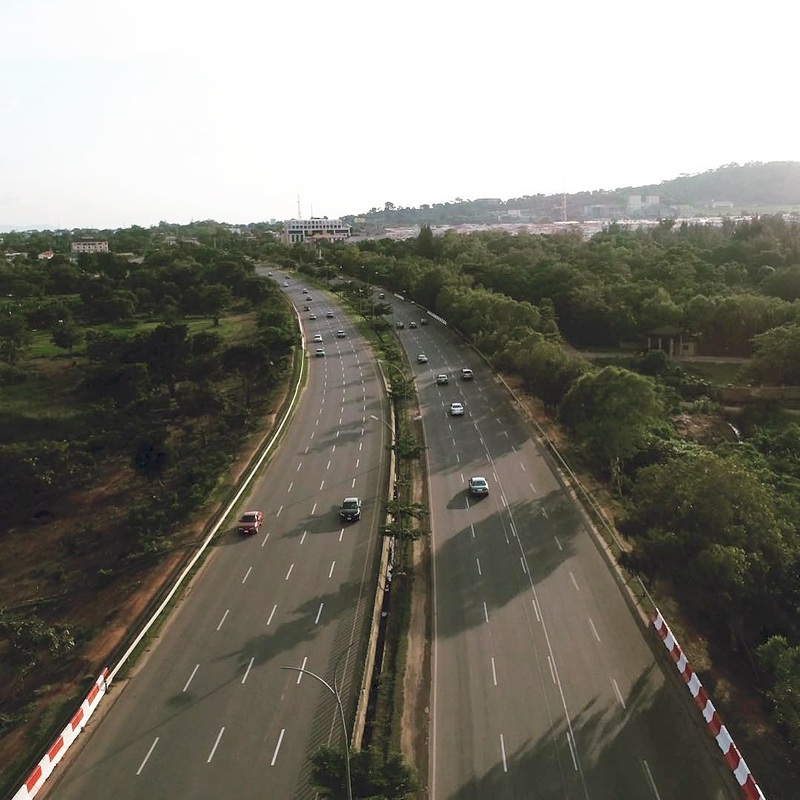 The boulevard will be home to inspirational development and a powerhouse for corporate, financial and retail activities. 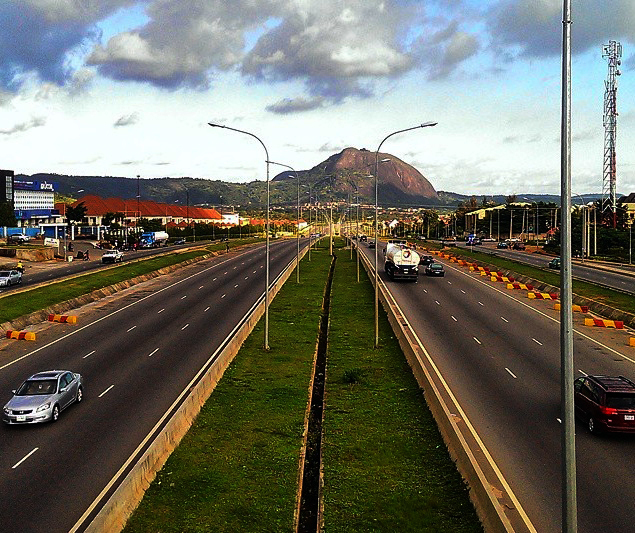 The scale of this Boulevard is an indication of the opportunity available for business growth. 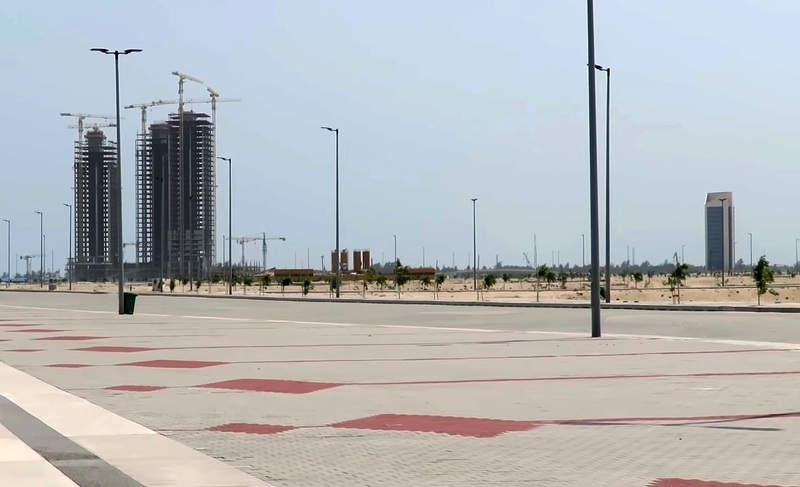 The Marina district is one of the most stunning residential and commercial hubs in Eko Atlantic. 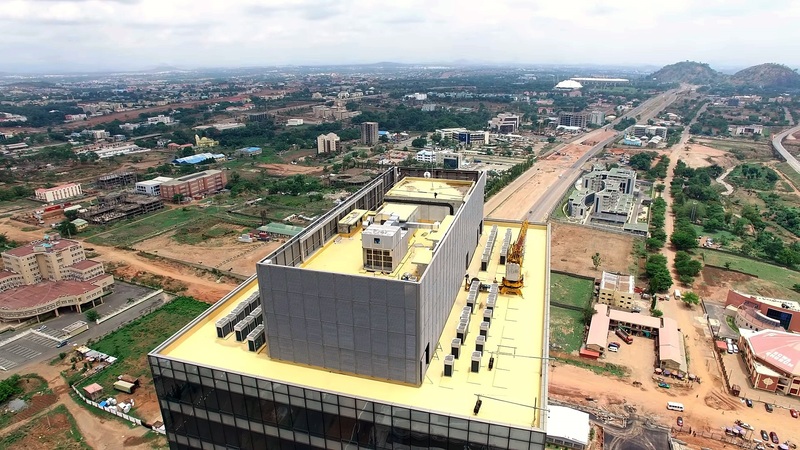 Designed for mixed use development. 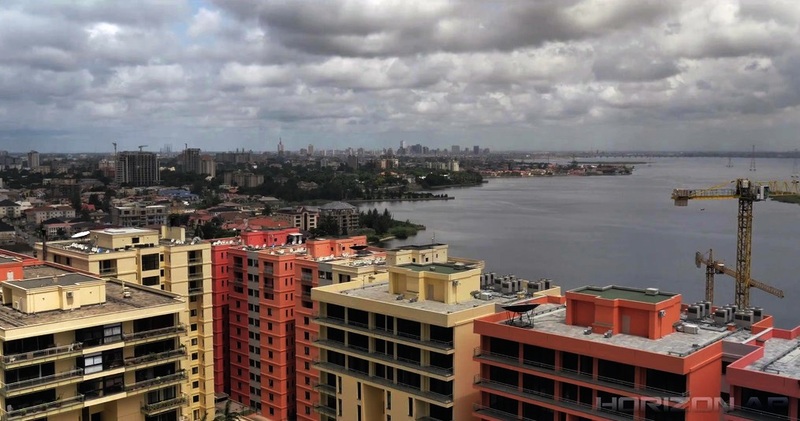 Its sweeping pedestrian promenade encircles the marina offering views from the sleek yachts to the dazzling architecture. 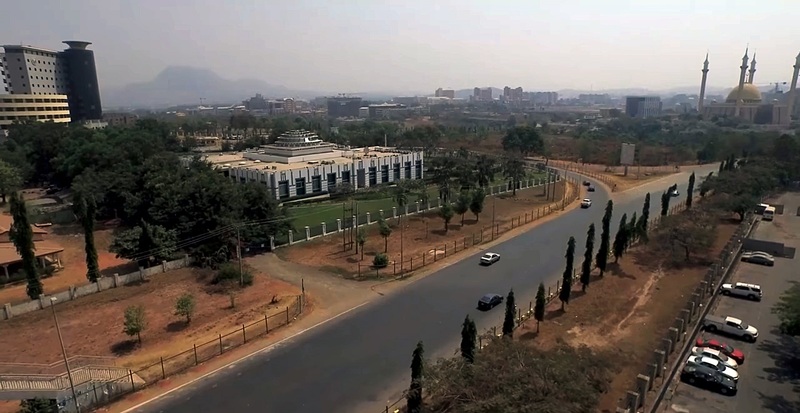 Its will become a center for leisure and social activities. 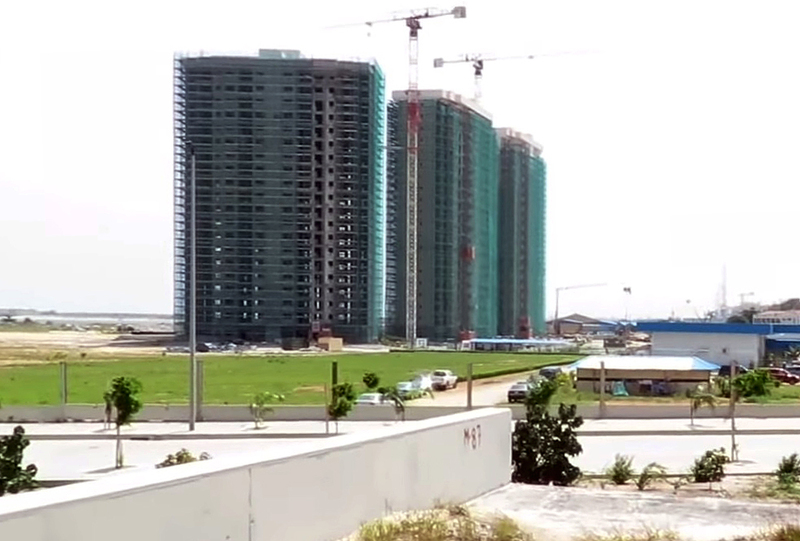 Downtown is the epicenter of Eko Atlantic with highly desirable space for development. 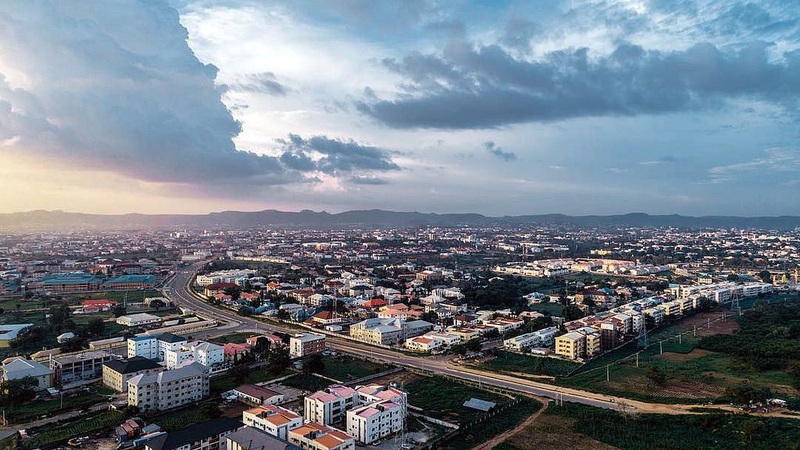 This district provides opportunities to develop land for residential use, offering a sought-after style of city life. 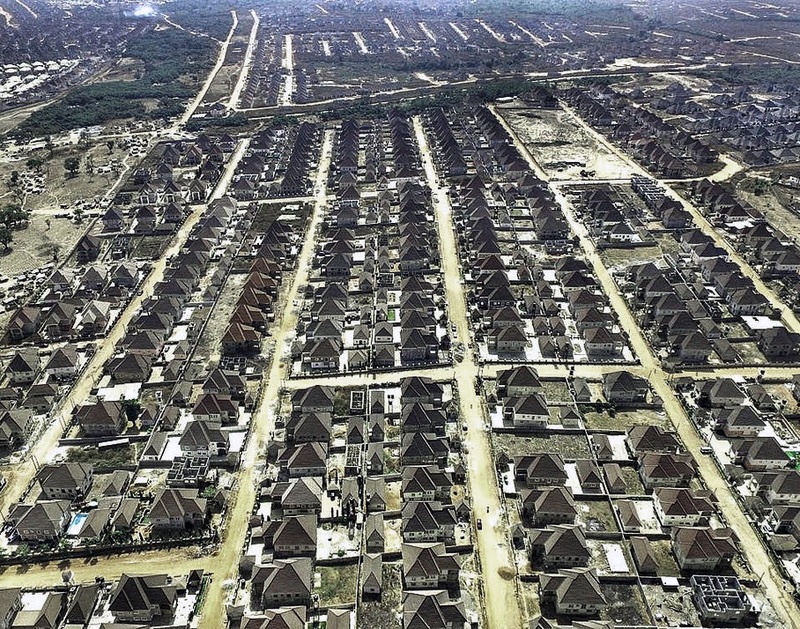 Surrounded by the canal and providing alternative water transport. 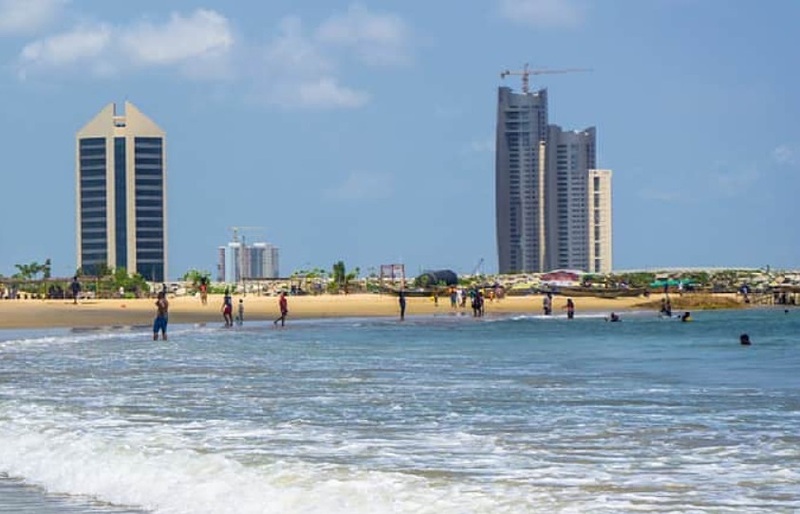 At the center of Eko Atlantic city, Avenues district connects Eko Drive from the North, Ocean Front to the South, and Downtown to the West. 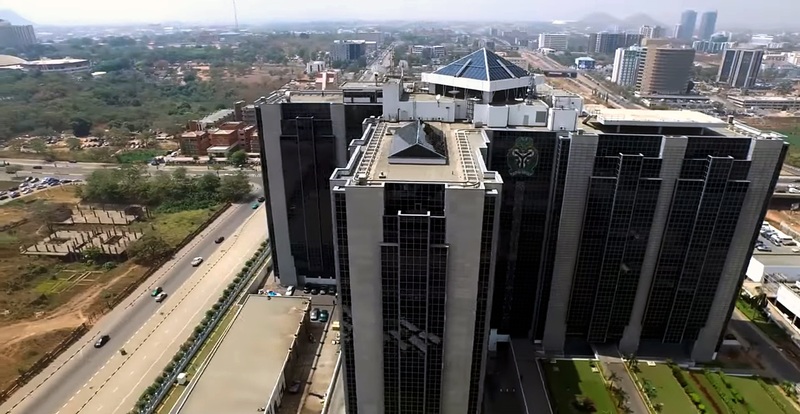 Thereby encompassing both residential and commercial properties. 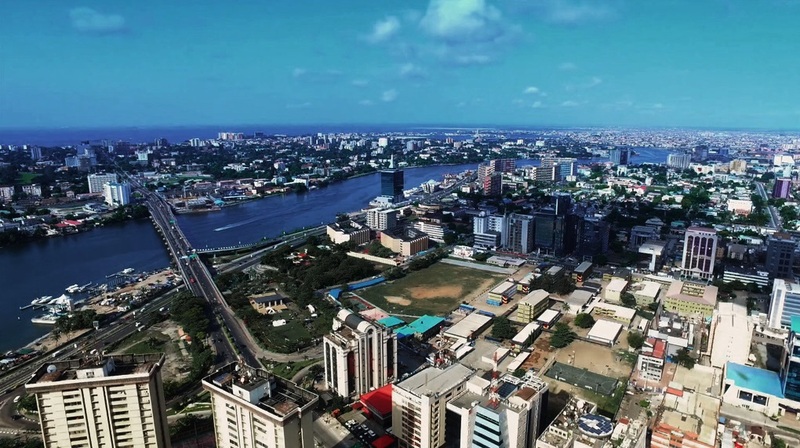 A well-designed mix of commercial and residential developments, providing rapid commuter access between the city of Lagos and Eko Atlantic. 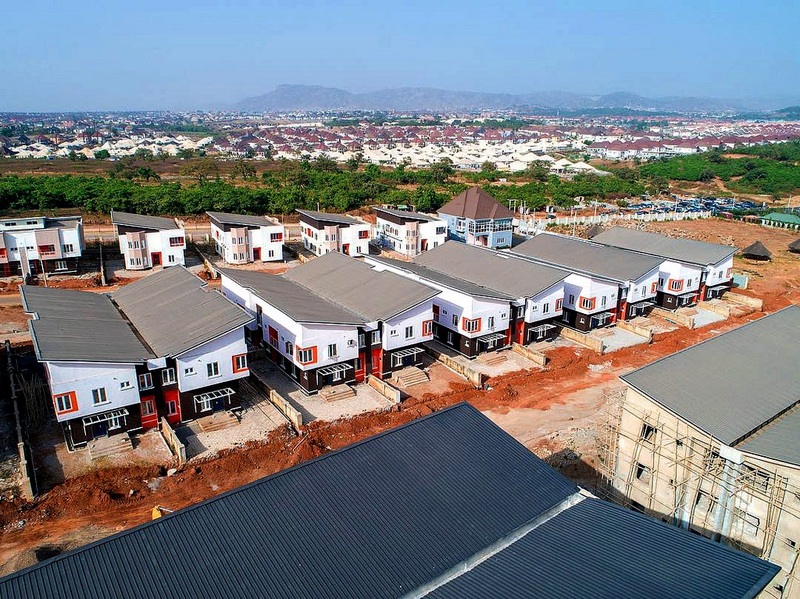 A cohesive blend of commercial and residential developments overlooking the entrance to Lagos Harbor and the Atlantic Ocean. 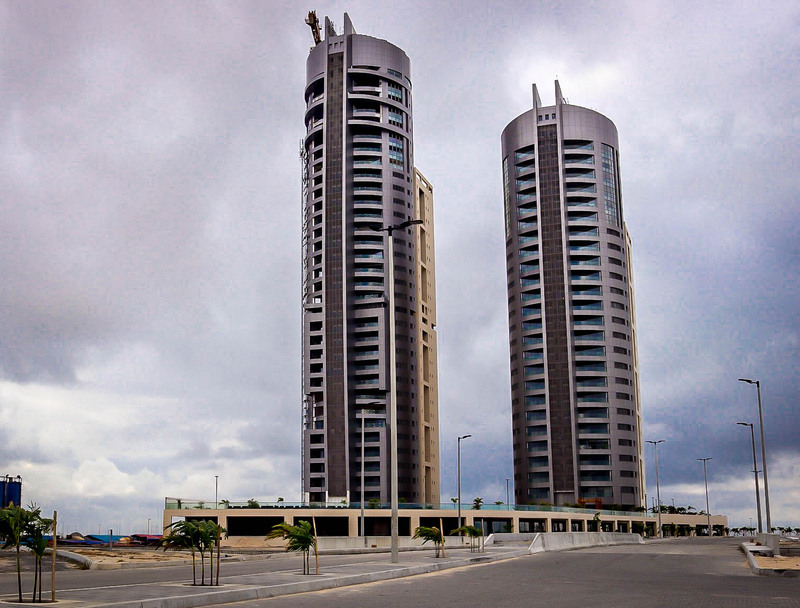 Stretching along the coastline of Eko Atlantic City, with breath-taking views of the Atlantic Ocean. 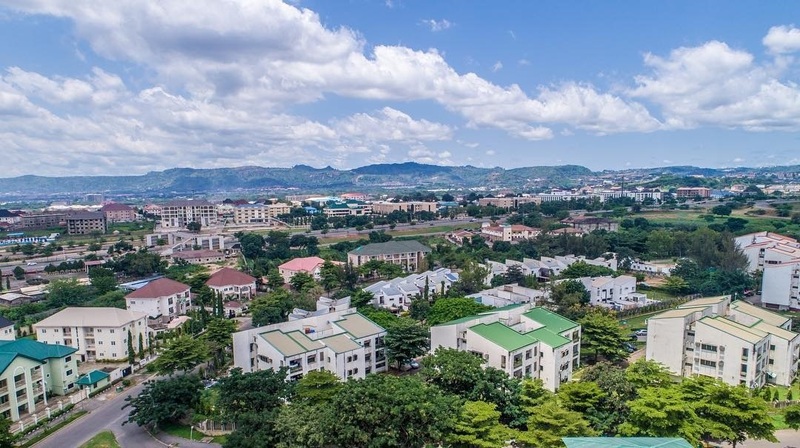 Ocean Front is a residential area with tree-lined streets and a variety of outstanding facilities for residents and tourists.